There is this Instagram feed of a toy Mario from Mario Bros traveling the world, visiting different places and companies. Here is that figure at Google at the iconic staircase of Google trends. 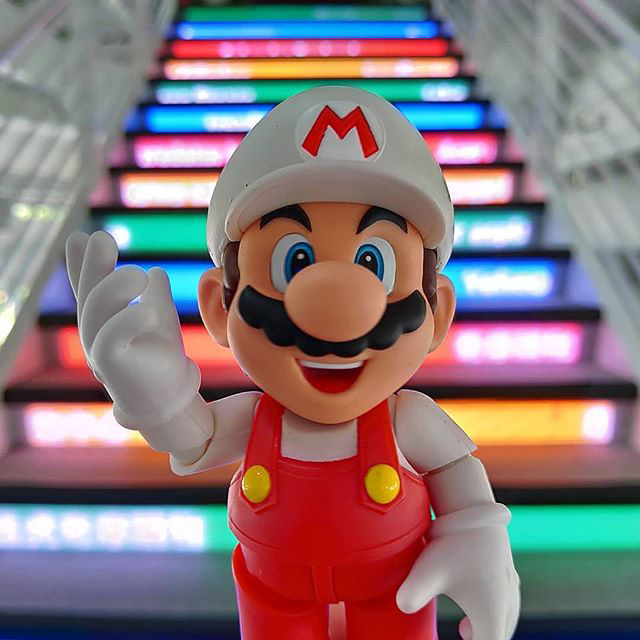 It is fun to scan through the @everydaymario feed on Instagram and check where they visited. The photos are pretty awesome!